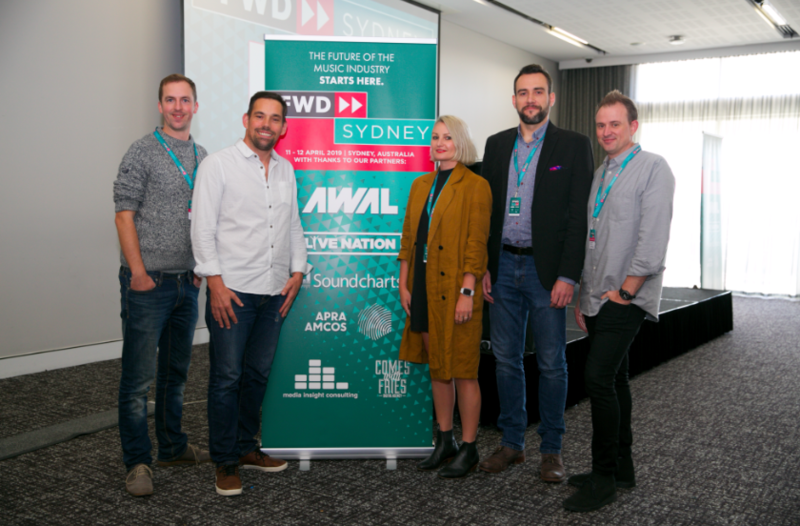 If the mission is to unearth bright minds at the intersection of music and technology, then the team behind this year’s ‘Can You Hack It?’ challenge at FastForward Sydney backed a winner. Jarek Beksa and his team at Sonnar – who are part of the Lightning Lab startup accelerator – will return to Auckland with $5,000 after delivering a FastFifteen presentation today (Friday), and impressing the judges. “Big thanks to the team who crunched with me for two long days and nights. We did it, guys!” says Beksa, CEO at Sonnar. Partners and judges for ‘Can You Hack It?’ include Simon Cahill (Warner Music Australia), Vanessa Picken (Comes With Fries), Julie Knibbe (Soundcharts), Chris Carey (Media Insight Consulting), and Kate Burleigh (Amazon). Sonnar zeroed in on the Warner Music Australia website, where they collected news, music, video clips and quizzes – ultimately making it all available on Echo Show devices. “We are so excited to work with Jarek and Sonnar on their skill,” says Cahill. Back for a second year, the brief for this year’s Hackathon was to bring music, technology and fans together with an Amazon skill and any open APIs.